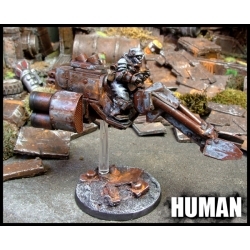 Horses of the Waste, Metal Mules. 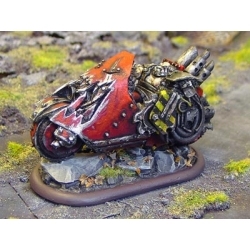 the Bikers of the Wastelands are an assorted medley of grifters, dwarves and tough guys/girls with their unkempt beards, long untended hair, their arms, chest and back the canvass for a local tattoo artist, riding a roaring Hog or skimming the skies on their jet bikes. 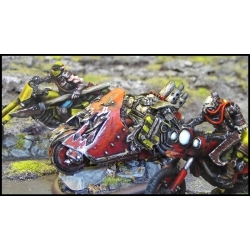 These tough road warriors have found allies on the highways, forming groups that simulate the type of camaraderie with which they have become accustomed. 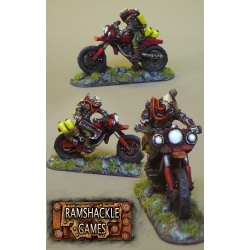 They travel about on two wheels, three wheels or no wheels with the jet biks looking for a good time, perhaps looking for a way to bury bad memories, often at the bottom of a bottle of local hooch. 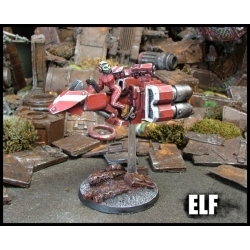 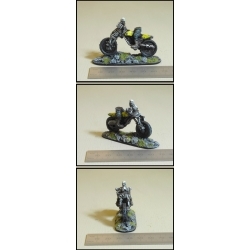 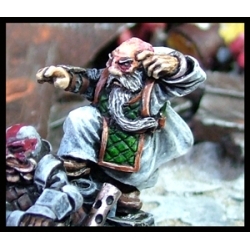 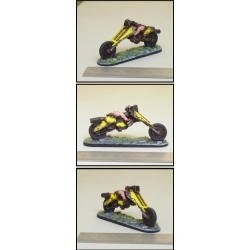 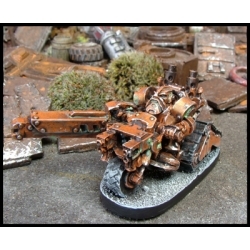 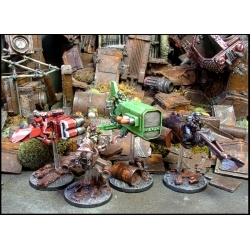 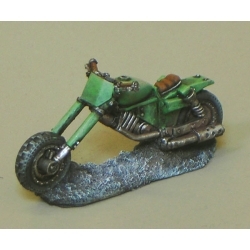 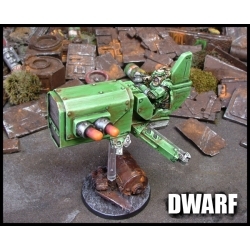 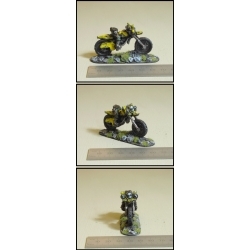 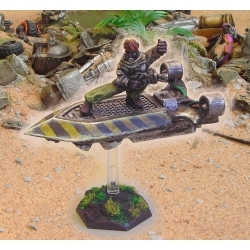 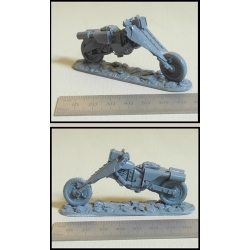 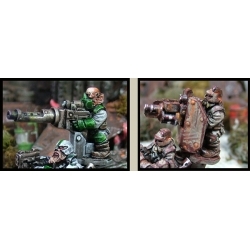 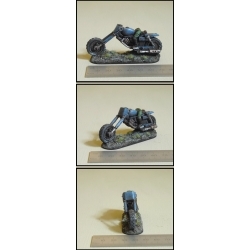 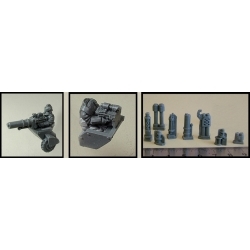 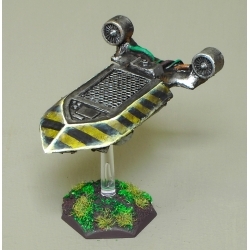 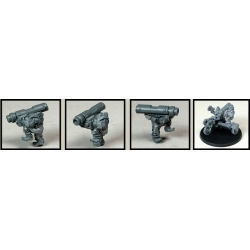 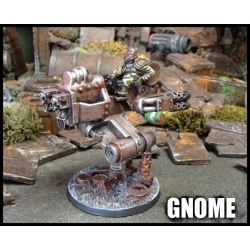 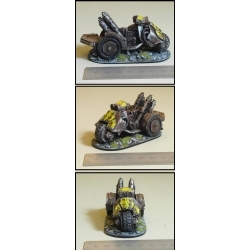 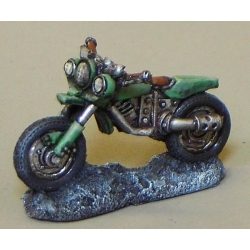 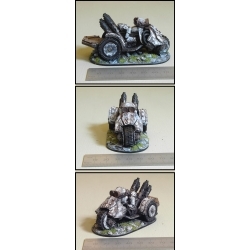 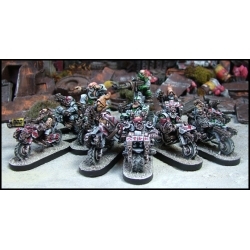 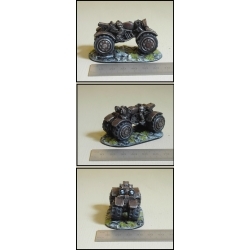 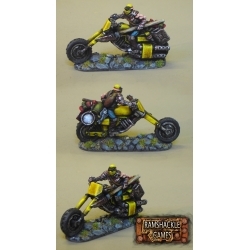 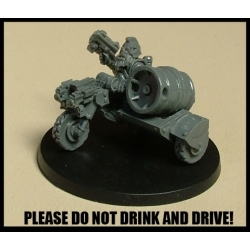 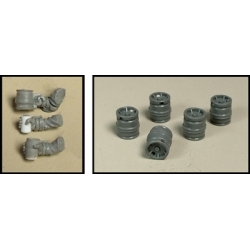 Here you will find 28mm Scale dwarf bikers, Trikes, Jet Bikes, and wasteland cruisers.